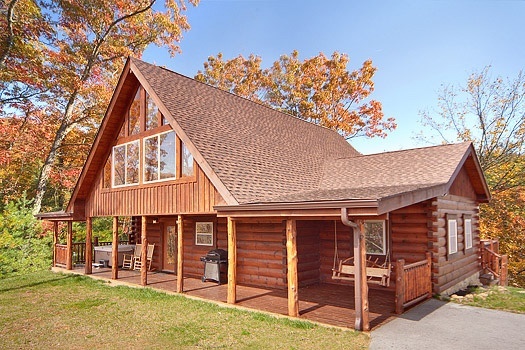 LOOKY YONDER at the wonderful views from this Amazing one of a kind 2 bedroom 3 1/2 bath log cabin located in the Deer Ridge Valley Resort in the beautiful Village of Cobbly Knob. 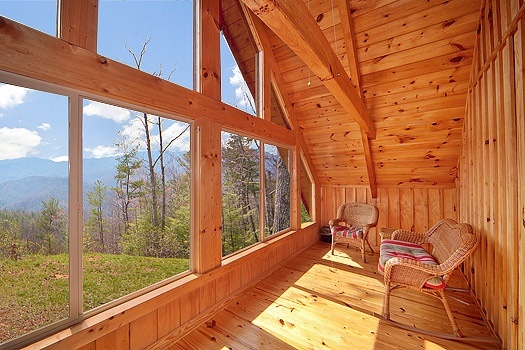 This cabin boasts amazing views with plenty of mountain privacy. 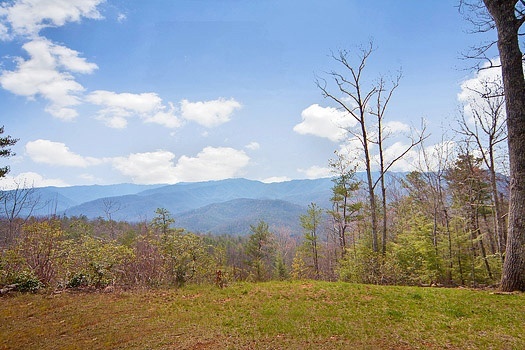 Located just beyond the Bent Creek Golf Course, come play some golf while enjoying your secluded mountain retreat. 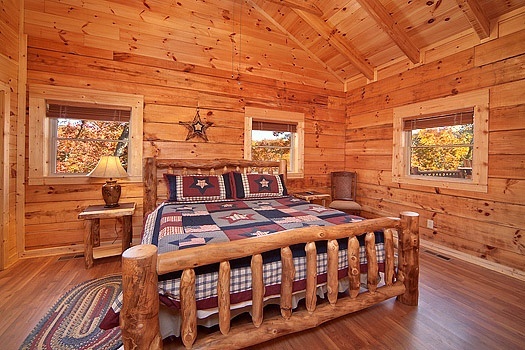 This cabin offers 2 bedrooms each with a King bed, a lofted area with a full size futon sleeper, a pool table and a sunroom. 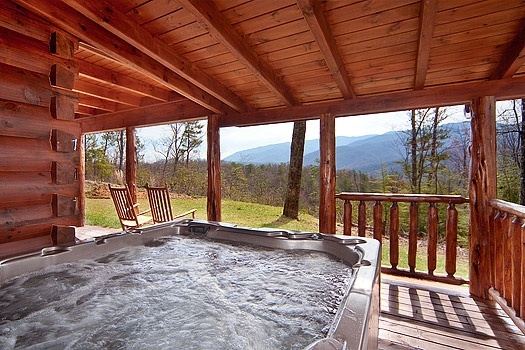 With a gas fireplace, outdoor hot tub, indoor Jacuzzi tub, lots of windows to enjoy the Majestic Smoky Mountain views. 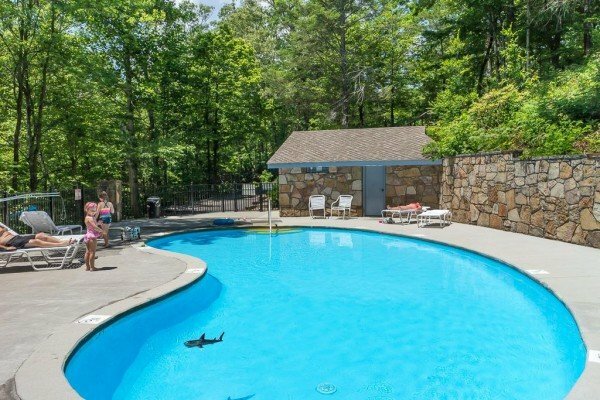 With the resort pool and the nearby golf course you won't even have to leave the area but if you do Gatlinburg and the National Park are only a scenic drive down beautiful 321. 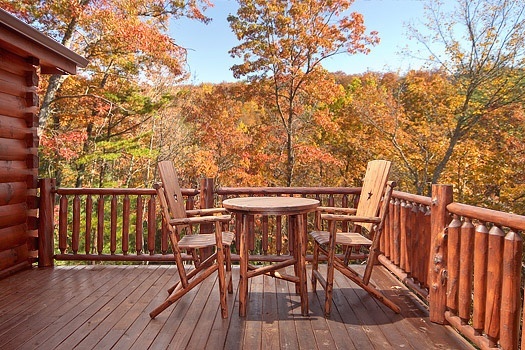 Come Looky Yonder at the beauty of the Great Smoky Mountains in your very own cabin away from home. We enjoyed.our stay at Looky Yonder very much. Loved the seclusion. 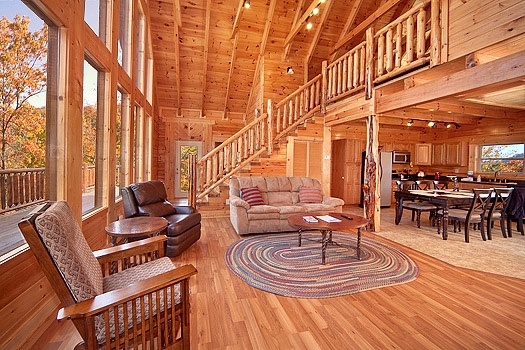 The cabin layout was perfect for 2.couples. Very clean. Was disappointed that the bears didnt visit, but.maybe they were busy. Would definetly.stay here again! Going through old emails I had to respond to this one,..because we had the best Christmas at Looky Yonder!We got snowed out one evening and the staff at American Patriot Getaways were so great in helping us.We called because we didn&#39;t know what else toeven with our 4 wheel drive we couldn&#39;t get up the driveway.They sent the most kind young man with snow shovels in hand and he and my husband cleared the driveway.We have nothing but praise for American Patriot Getaways! Everything was so easy with chen and check out,the property was beautiful! Will definitely stay again,..and bring a snow shovel to keep in the truck. 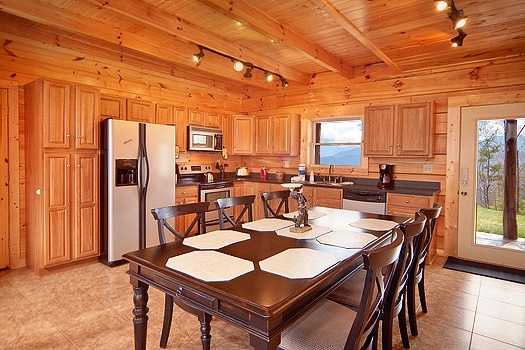 We absolutely loved everything about the cabin stay from making reservations to the last day there!! I would absolutely recommend and hopefully will plan another trip there very soon.. be sure to send me any deals or discounts!! Thank you so much!!! This is the second time we have used American Patriot Getaways and I will continue to do so in the future! 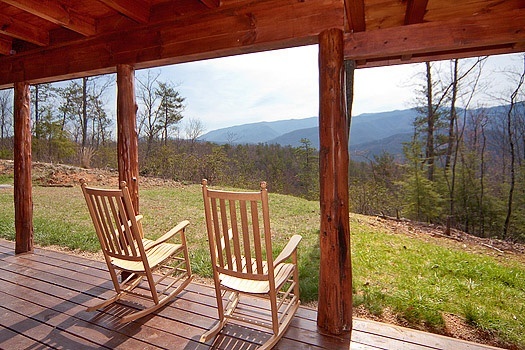 Beautiful cabins, friendly staff, and the check in and out process is so simple! Cabin was fantastic. Patriot staff were all great. Wendy was amazing in helping us find the perfect cabin for our vacation. This was the 2nd time that we've stayed in THIS cabin. We've been vacationing in Gatlinburg for 20 years..usually about once a year. 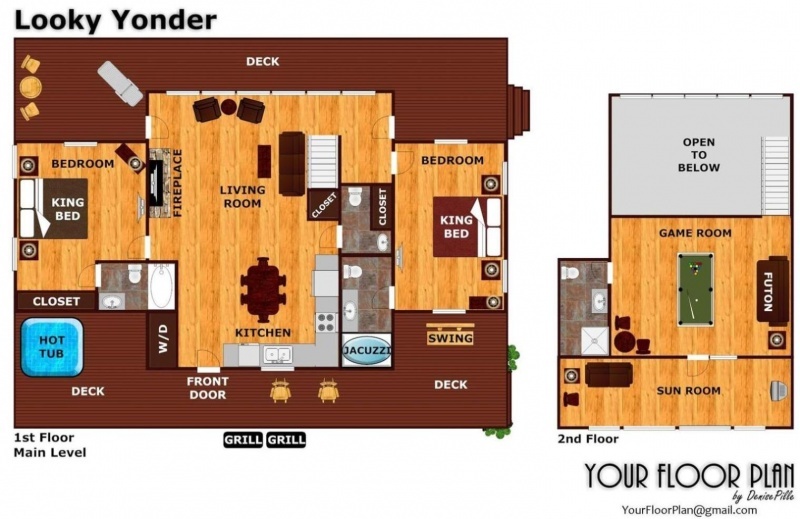 We've always shopped around and stayed in different cabins, condos or hotels. Looky Yonder is BY FAR our favorite. Our 2ndstay was just as wonderful as our first, and I'm sure we'll book it again in the future. In fact, my husband and I will be celebrating our 25th wedding anniversary in May and have already booked another of your cabins for that occasion. My husband joked that y'all should give us some kind of frequent renter reward. We'll be back again soon. Recently my husband and I stayed at Looky Yonder cabin. It was absolutely the best cabin, location we have ever stayed in. So clean, the views were amazing and we caught a glimpse of a bear. My husband has a hard time sleeping but slept like a baby on yourbeds. We look forward to returning with our kids!!! 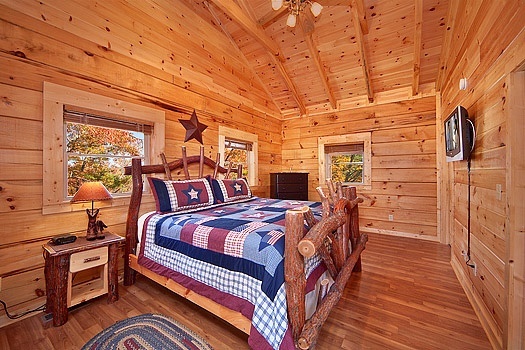 We have been looking for a cabin to return to year after year to make memories with our family. We think we found the Cabin! It was spacious and clean. The sunroom for morning coffee with my husband was a huge bonus. Thank you! 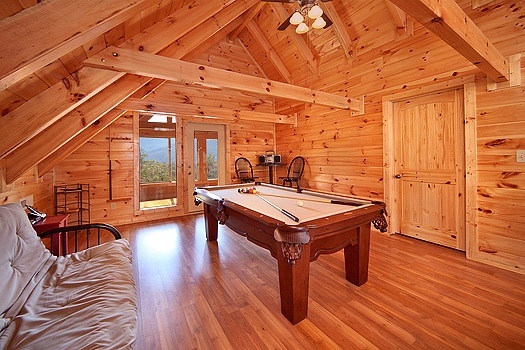 We have stayed in many cabins in the Gatlinburg area and Looky Yonder was by far the best cabin we have stayed in. We had a wonderful stay in this beautiful cabin. Can't wait to go back! 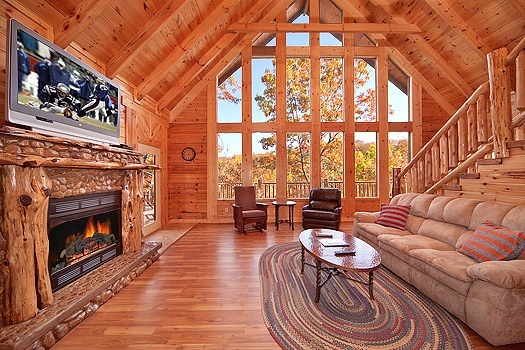 This cabin was absolutely breathtaking. The views were even better then could have imagined. 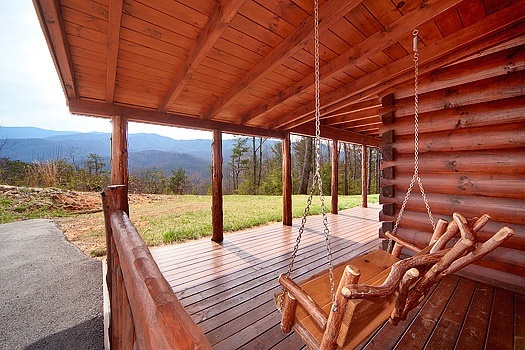 Would love to stay in another American patriot cabin. I'm sure will return next year. Looky Yonder was absolutely incredible! My husband and I came here for our honeymoon and we couldn't have asked for a better spot. It was beautiful and the cabin was amazing. We can't wait to come back! We LOVED the cabin. The views are unbelievable and we will definitely be staying there again, hopefully in the near future. Cabin was very clean and we'll stocked with towels. Definitely recommend. This was an amazing experience and would gladly do again. Next visit I will be looking for a location with a fishing lake if it something you have in your vast assortment of cabins.